House cleaning is a polarising thing. Some people love cleaning their house, and some will wait until the mould grows hairs, while others cannot handle dust if they are allergic to it. Not all can always be on top of cleaning, and that’s totally understandable. In this busy world, we barely get any time to spend to clean the house. There are a lot of things to clean in a house! We would get unhappy and sick if we didn’t clean all the nook and corners of the house. 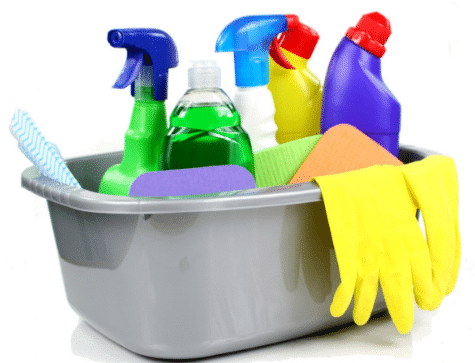 However, there are professional cleaning services Waterloo who can do the house cleaning job at its best for you to keep you and your family healthy and safe. But how often should you call the cleaners to clean your home? Probably more than you want to. Let us break the cleaning job and check out how frequently each room of the house needs a professional cleaning. Let’s get it straight, and you might be due for a cleaning in a few areas of your house! Bedrooms have two layers when it comes to cleaning. First is bedding, it is recommended that you wash your beds at least once in a week. Also, do not keep your blanket folded when you are off to work. If the blanket is airtight around the bed, it can result in bad smells and accumulating livelier bacteria. The others surprising thing you should want to try is vacuuming your mattress every month. This will help prevent dust and mites. The floor should also be swept on a regular basis. When you call out professional house cleaning Waterloo once every month, they will reach you and make sure your mattress and floors are cleaned and vacuumed thoroughly making your bedroom a germ free place to live in. The kitchen is another important and most used room in a house. It should be cleaned at least once every two days, which can be done by you. Just damp a cloth in water and wipe the surfaces to prevent mould problems. However, at least once a month, your kitchen needs professional cleaning where the cleaners will thoroughly scrub and clean the full room including the fridge and oven. Bathrooms are the toughest places to clean yourself. Who could blame you? No one will like to clean their toilets putting their face close the wastes. What could be worse than that? There is a trick, and it is not letting the grime get there in the first place. Call professional house cleaning Randwick at least once a week who will scrub the floors and surfaces. When they are cleaned time after time on a regular basis, there will be no enough time for the area to produce grime and nasty bacteria. Many professional cleaning companies also offer regular cleaning services which mean they will visit your house on a scheduled time which you prefer and make your house shine before they leave. However choosing the best cleaner in the country is the smartest thing you can ever do, after all, it is the concern of your house and the health of you and your loved ones. Research and call out the best professional cleaning services Randwick now!